So you have to write a resume and it has been a while. Where do you start? First, you have to decide how many pages your resume will occupy. Should you keep it to one page? Is more than two pages too much? If you are an entry level job searcher, or have less than five years’ experience, it is recommended to keep your resume to one page. If you have more than five years’ experience or have three or more relevant jobs, you can move your resume to two pages. If you are a veteran with several years’ experience and multiple jobs, feel free to move your resume to three pages, but only if necessary. 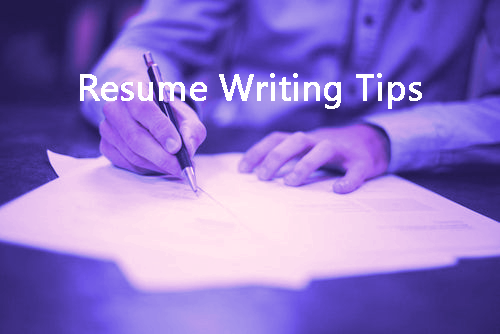 Three pages for a very experienced person is the maximum number of pages for a resume. A good rule of thumb is to have your most recent, or your most relevant, job experience occupy the majority of space on the resume. Your most relevant job should have the most number of lines and bullets. Jobs you had long ago, or jobs that are not relevant to the position you are applying for, should occupy a smaller amount of space. Jobs from several years ago that are not relevant to the position you are applying for can be reduced to a one or two bullet point description. Every resume should start with an objective. Objectives that are brief will be read. Make sure the objective matches the job you are applying for. Objectives should be a one sentence statement about what you are looking for in your new job. It is recommended you target your objective to the position and company you are applying to. For example, “Seeking a Financial Planning position at a global manufacturing organization.” Stay away from long paragraphs in your objective or anywhere on your resume. Keep in mind, hiring managers don’t read paragraphs, so keep it brief! It is best to use bullet points instead of paragraphs. Bullet points look better in format and are more likely to be read. If it is easier to write in paragraph form, that is okay as a start, but don’t leave it that way. Take any paragraphs you have written and break them into bullet points by making each sentence a separate bullet. Hiring managers skim resumes and will read bullet points. Paragraphs tend to get ignored. the top of your resume. Try inserting at least nine bullets (three rows of three bullets across the page) that are relevant to the job you are applying for. Inserting a table here is an easy way to accomplish this. This skills section is important because it allows you to easily customize your resume to the position you are seeking. Between your one sentence objective and your nine bullet points, you can easily customize your resume for each potential position. When writing your resume, remember that the clear majority of hiring managers do not read, but only skim, your resume. Do all you can to grab attention quickly, but don’t make it too quirky or unprofessional. Remain concise and to the point.